Former minister warns against complacency in dealing with Iranian factories for precision missiles operating in Lebanon. 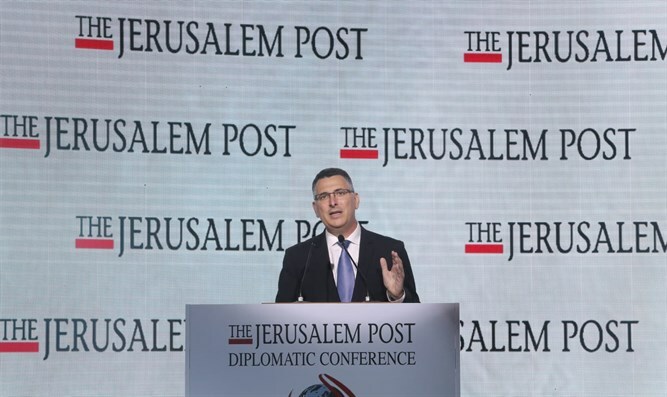 Former minister and security cabinet member Gideon Sa’ar called for an Israeli counterstrike on precision weapons factories in Lebanon and other strategic threats that Hezbollah is developing. At the Jerusalem Post’s Diplomatic Conference in Jerusalem, Saar said that Israel was approaching the point of no return on the Lebanese border. “If an Israeli preemptive strike is not carried out in the near future, the window of opportunity may be closed. This means that future attack might be far less effective and will involve a much heavier price,” he said, noting that he would back a preemptive strike if such a decision were made. “If Hezbollah achieves such capabilities, they will be able to cause us very significant damages during confrontation,” he said. Could a quarter of all Latinos have Jewish ancestry?